At Bath, New York the tiny Bath & Hammondsport interchanged with the former Delaware, Lackawanna & Western (part of Erie Lackawanna by this time). 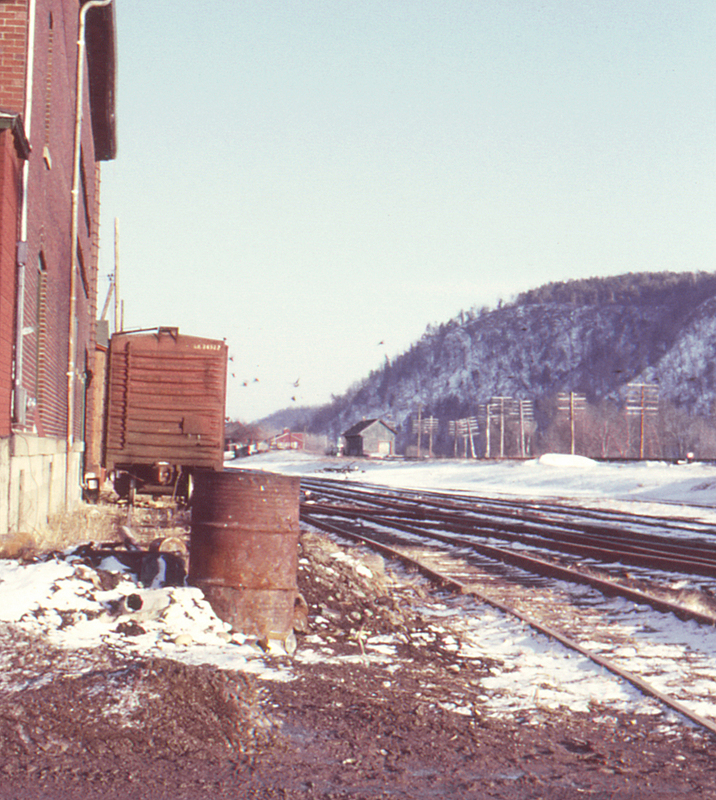 The tracks in the foreground are the Erie's branch via Wayland, New York, with the Lackawanna mainline on the raised grade; one of the Lackawanna's small wooden stations is visible in the distance. This view looks southeast from the Cameron Street grade crossing.